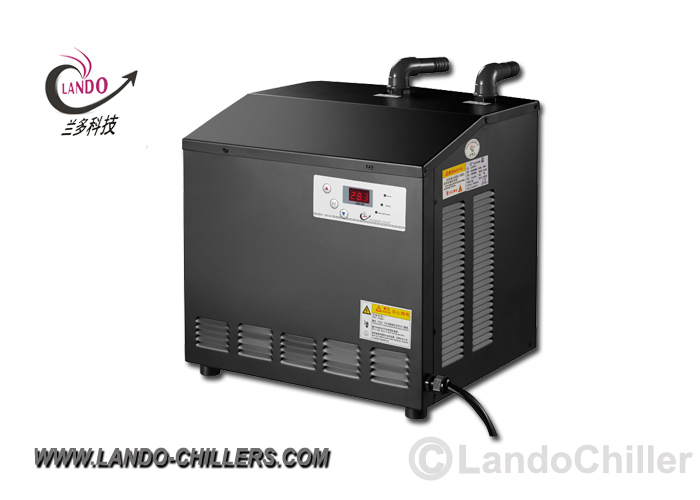 If you have a small aquarium, Lando mini chiller which idea cooling for a small aquarium,100 gallons or less. Suitable for saltwater and freshwater. Super refrigeration can decrease the water temperature from 35C to 18C rapidly. Cooling and Heating function. The best Aquarium Chillers for Marine and Fish Tanks are vital for maintaining aquarium temperature control. We supply a range of aquarium chillers at competitive prices with 1 year warranty. 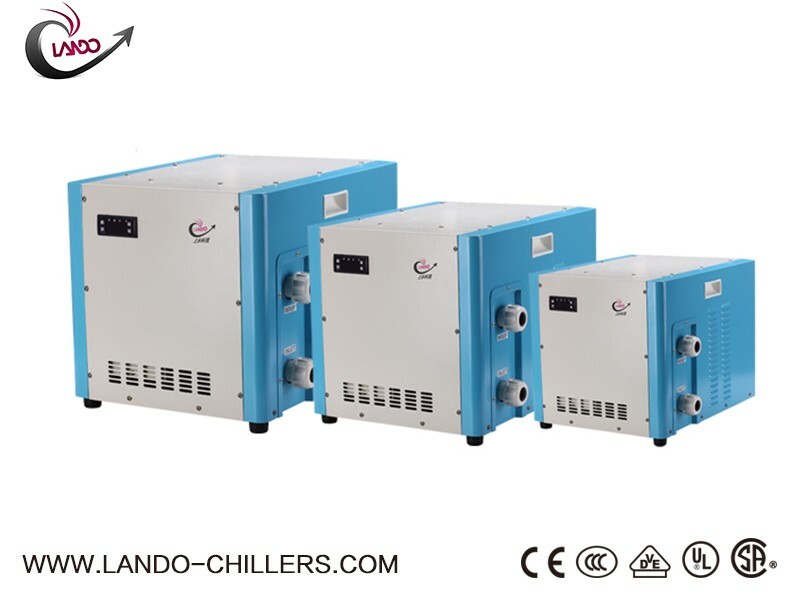 Are you in need of a reliable chiller for your aquarium? 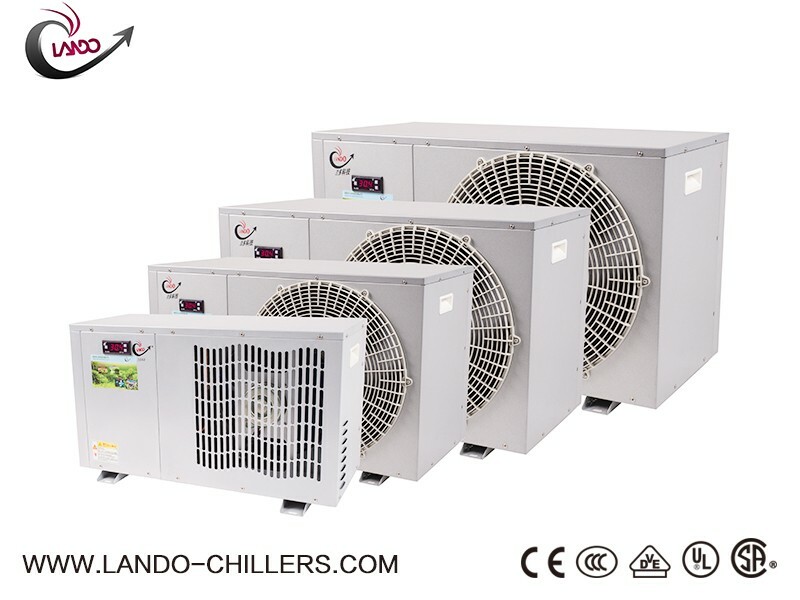 Aquarium Chiller - At Lando-chillers.com . we supply some of the best selection and best prices on Aquarium Chillers, Water Chiller for your marine, reef, and freshwater aquarium to keep the right temperature . If you need for an Aquarium Chiller and Heater and would like recommendations specific to your tank, please don’t hesitate to contact our experts for advice. We are happy to share our experience with you and recommend you best aquarium chiller for your tank. An Aquarium Water Chiller is available work with pump. 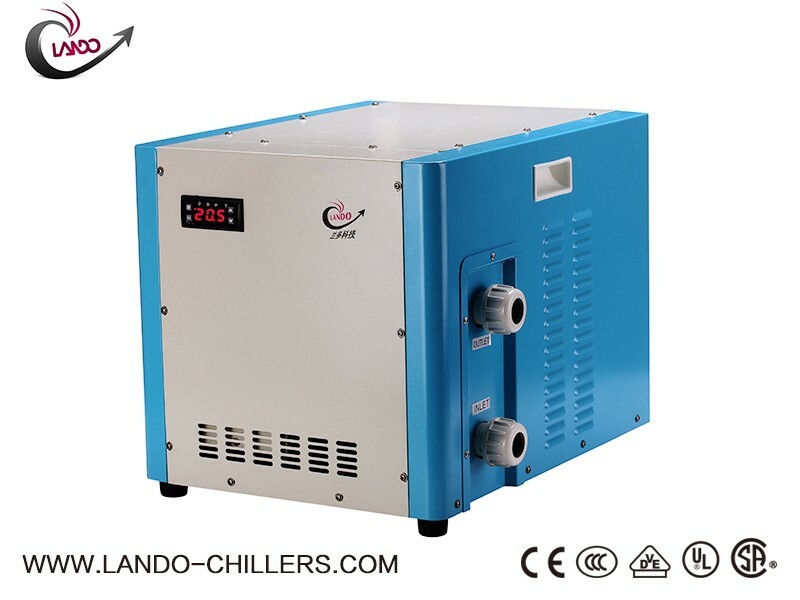 Water is pumped into the chiller, cooled, and then returned to the tank or reservoir .The chief advantage of Lando aquarium chiller is that it can be set up away from the tank (such as in a basement, another room or in the garage). 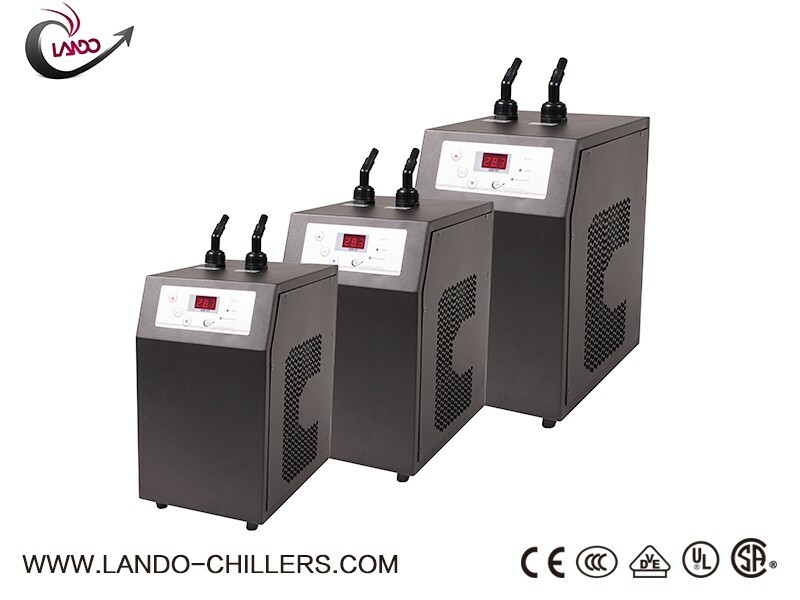 Lando Water Chillers Aquarium series are specifically designed for fresh or saltwater applications. These chillers range from 1/2 HP to 5 HP and provide the same powerful cooling performance with a Auto temperature control system. Looking for the best Aquarium Chiller for sale ? The best Aquarium Chiller is the one that is the right size for your aquarium with the right price. The aquarium chiller shouldn’t be too big or too small–it needs to be just right, or it won’t be able to properly cool your tank , usually 100-120 Gallon fit for our LD- 1/2 HP . 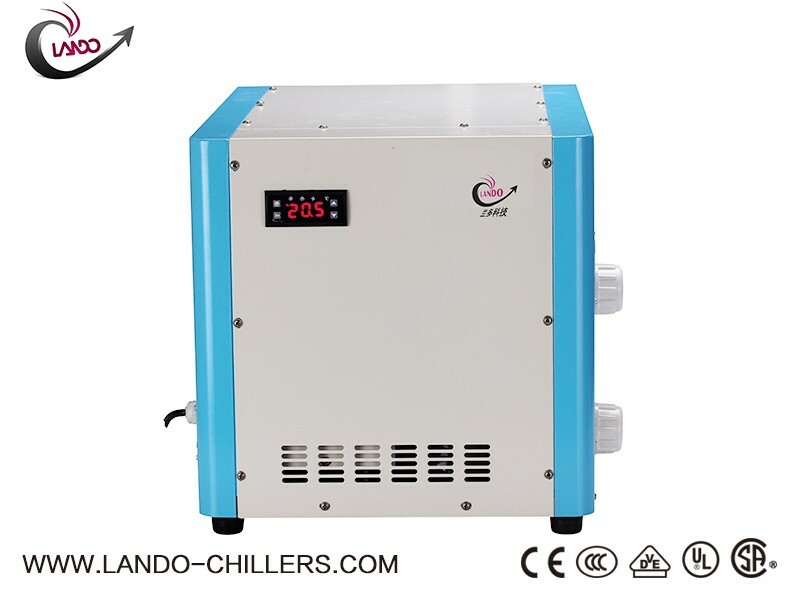 What you want is the chiller keep the right temperature fit for your fish . 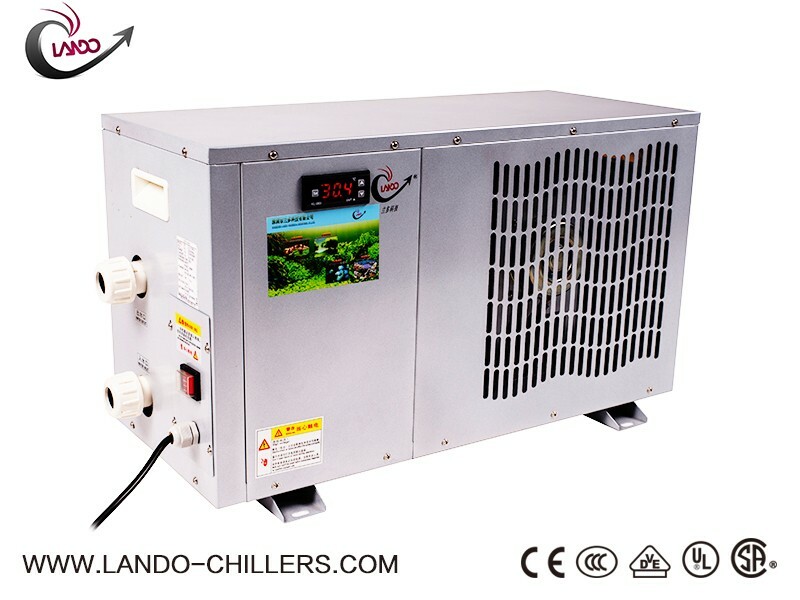 That way the Fish Tank Chiller can cool or warm the aquarium or reservoir . 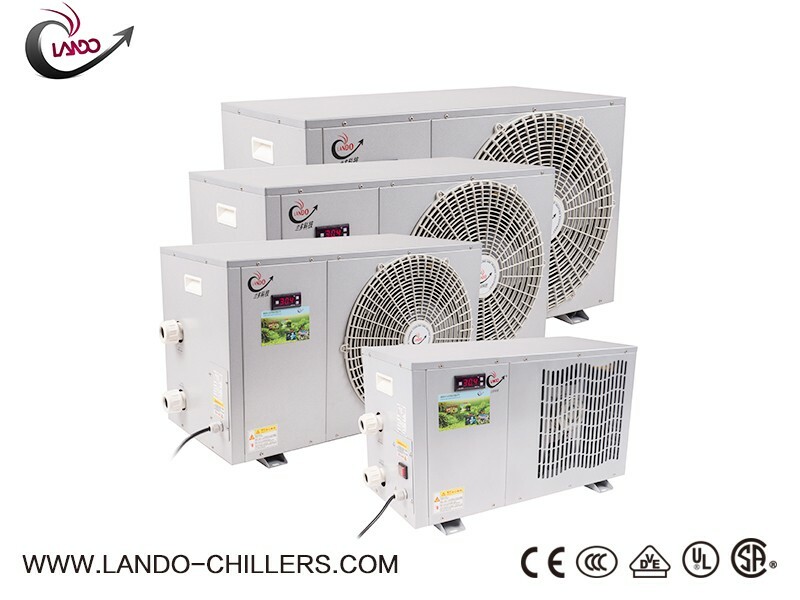 Chillers are usually rated based on horsepower and BTU (British Thermal Units). usually we will recommend the maximum aquarium chiller fit for your aquarium to be used. 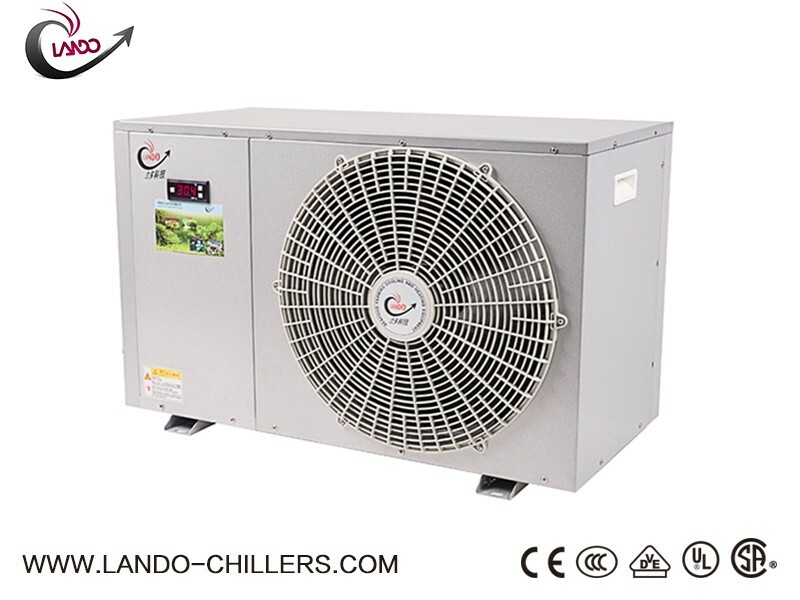 Lando Active Aquarium Chiller with high BTU rating (heat removal). Quiet operation. Powerful compressor. Uses R134A or R410A friendly Freon. Includes fittings and instructions for easy set up. Titanium Chiller for use with Freshwater & Saltwater Aquariums. High quality, durable, reliable and ultra compact design . All the Aqua Chiller we offer utilize environmentally friendly coolants. All chillers come with digital LCD temperature controllers that measure your aquarium's temperature .If a chiller is needed for your aquarium . it should be planned into the system as early as possible. The aqua water chiller used for cooling the water need to be placed in an sufficient area to avoid the over heating.